We will be hosting series of classes and movies in June, and into early July. On June 20th, we will be screening PlanEAT, a documentary about ways to avoid chronic disease while helping to keep our planet livable. On Monday, July 2nd, we will screen Cowspiracy, another movie about simple choices we can make to save our planet. 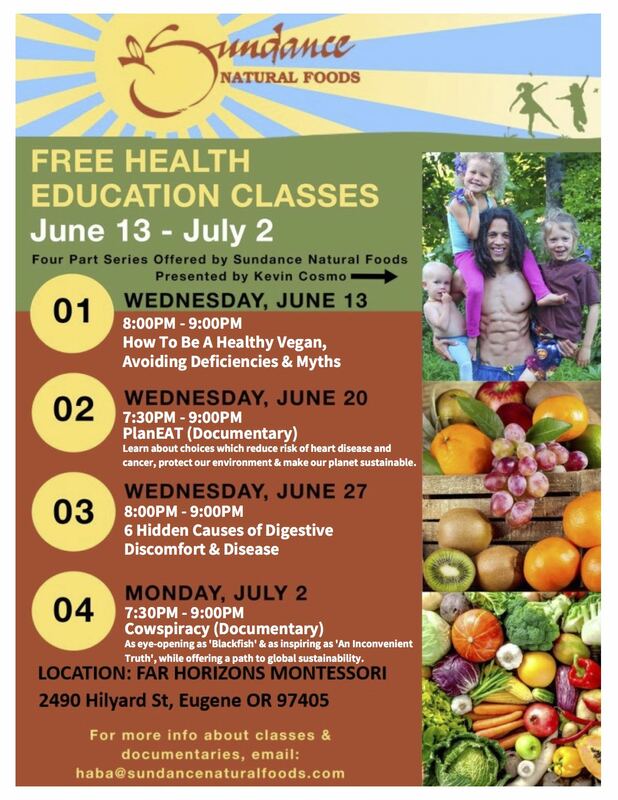 On Wednesday June 27th, Kevin Cosmo will present a class on The Six Hidden Causes of Digestive Discomfort and Disease. Learn how you can have a peaceful and harmonious relationship with your belly. Stay tuned for more classes and films coming up later in the year.